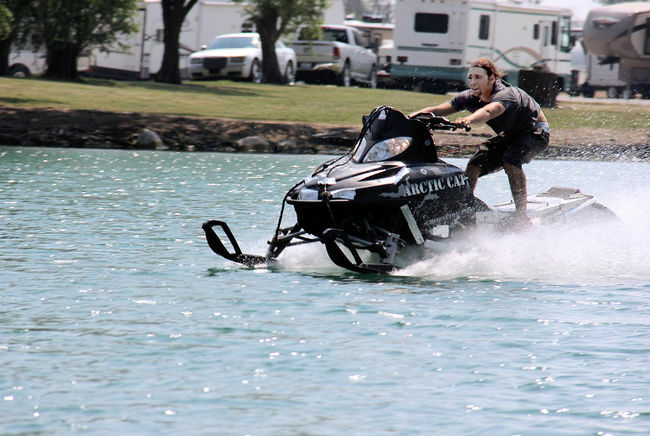 I'm thankful for the gumption of snowmobile club members whose passion for the sport compels them to host summertime events. 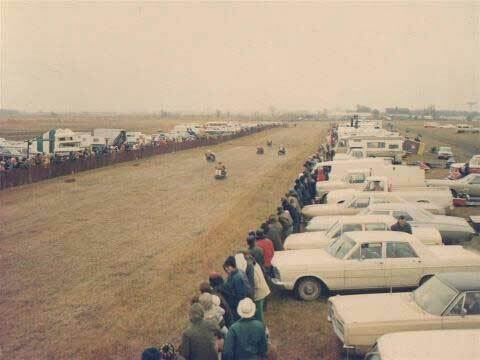 I'm thankful for the heat, dust, swap, races, unveilings, porta-pottys and controlled chaos that has occurred this time of the season for nearly 50 years. I'm thankful for Sno-Baron's Hay Days. And I'm thankful it's Friday, Sept. 6, 2013. 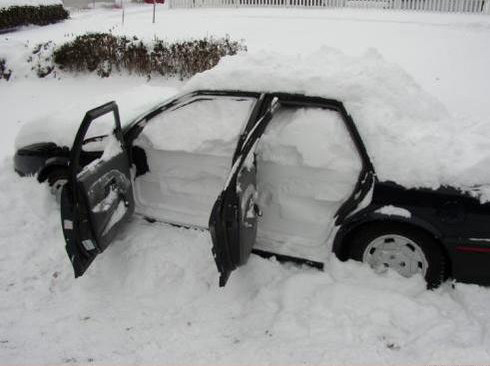 Flashback: Friday, Feb. 8, 2013. Inside the Arctic Cat snowmobile engineering shop, engineers Greg Spaulding (left) and Larry Coltom inspect the APV exhaust valves on the Arctic Cat C-TEC2 599cc engine that Coltom will take for a test ride in short order. It's late enough in the afternoon that these two racing veterans are asking the photographer questions about what happened during the second leg of the USXC I-500 cross-country race that had concluded a couple hours earlier. They're interested in the stories about eventual race winner Ryan Simons soaring over approaches with a speed and severity that brings gasps, but they're mostly concentrating on inspecting the engine in this pre-production snowmobile. There is still much work to squeeze in, before the phone calls from home wondering about dinnertime. Arctic Cat sent an email blast with the above information. 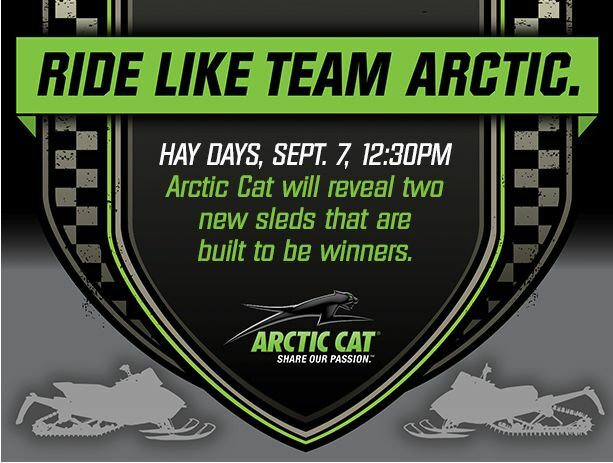 Two new sleds will be revealed at Hay Days! So let's have a quick contest: Guess The New Arctic Cat Sleds! A special care package to the winner! New items include skis, tunnel straps, tunnel packs, clutch guard updates and more (to see the items and page numbers of the new products, click for the full story). I'm thankful for four-passenger roominess available with so many different automobiles. I'm thankful the human spirit is infused with a sense of humor. I'm thankful for door locks. And I'm thankful it's Friday, Aug. 30, 2013. Happy Labor Day weekend everyone! Below is a 1-min. 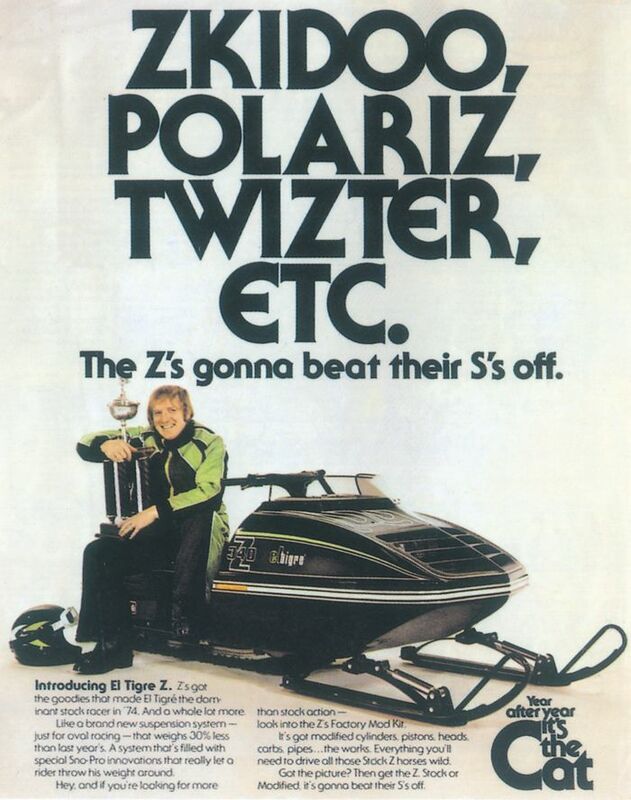 radio advertisement that Arctic Cat produced for the 1975 season. 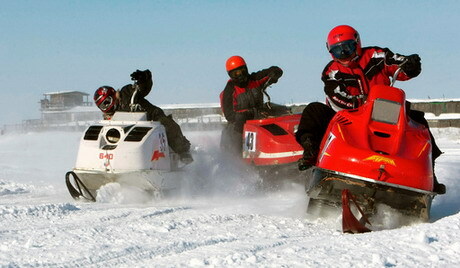 It highlights the success of the Team Arctic race program. The Team Arctic race program is still exceptional today... but the years of having radio ads about the race program are waaaaaaay in the rear-view. 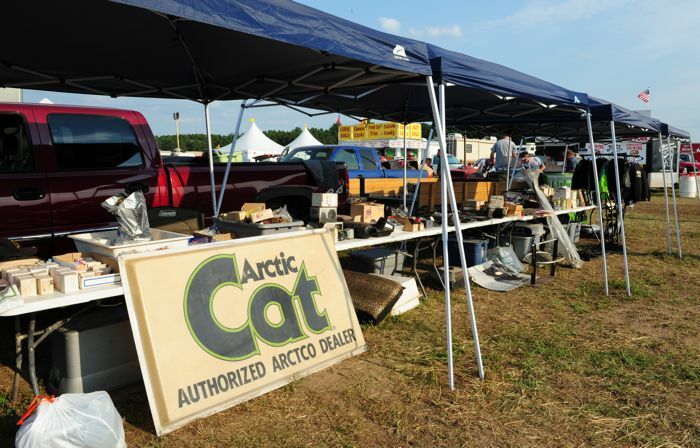 I hit my first snowmobile show/swap event of the 2013-14 season this past weekend in Princeton, Minn., where the 20th Annual Outlaw Drags unfolded in perfect opposition to a blasted heat wave. It's awesome how trailer loads of sleds and parts combine with conversations about snowmobiling to put you in a winter state of mind. 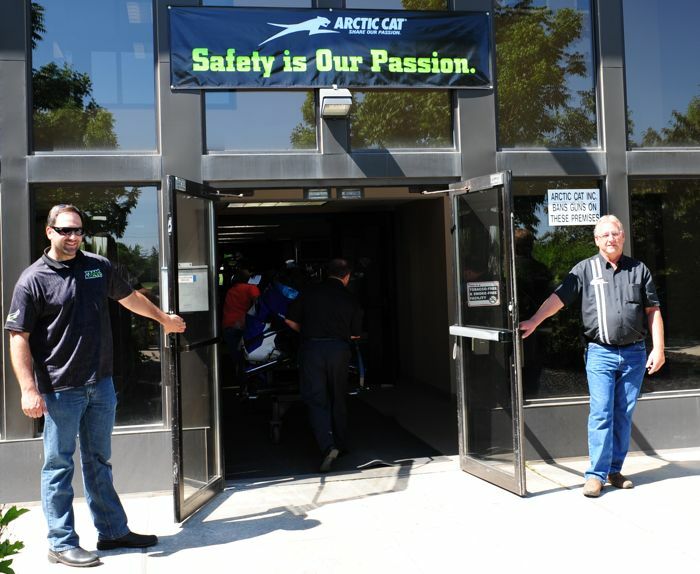 I was at Arctic Cat in Thief River Falls this week, where the engine of progress was humming along at 8100 RPM and the people who make it happen opened up the doors for all of us to see. Click to read about (some of) what was going on at my favorite place in the world. Flashback: Tuesday, March 30, 2010. 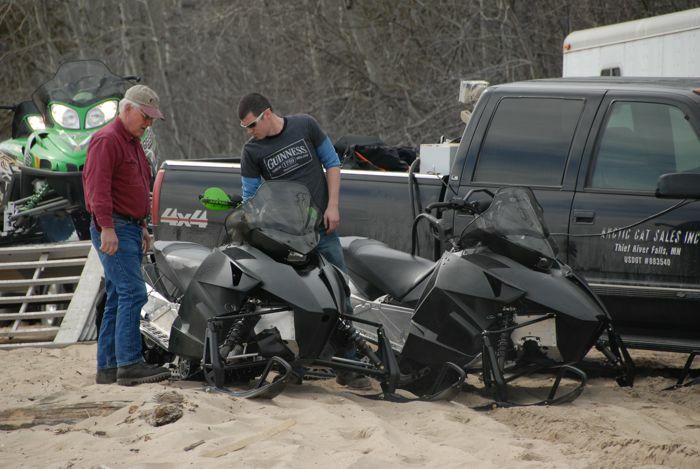 The springtime ice on the Lake of the Woods near Warroad, Minn., is dark, with 10-ft. gaps between it and the shoreline where Arctic Cat engineers Larry Coltom (left) and Ryan Hayes are testing prototype ProCross and ProClimb snowmobiles. The deteriorating ice conditions will soon force the various engineering crews to move to Colorado’s Grand Mesa and to Thompson, Manitoba, to continue development of the prototype machines. 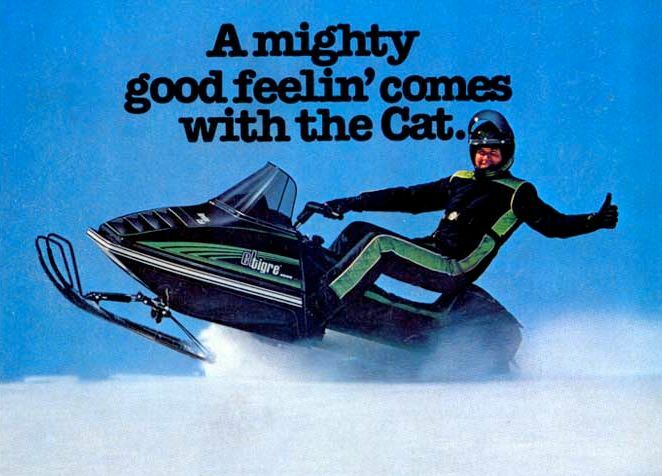 "Owning an Arctic Cat feels like you can lick the whole world." Click below to hear it for yourself. I'm thankful for snow. I'm thankful for the rubber track. I'm also thankful for skis. And I'm thankful it's Friday, Aug. 9, 2013. 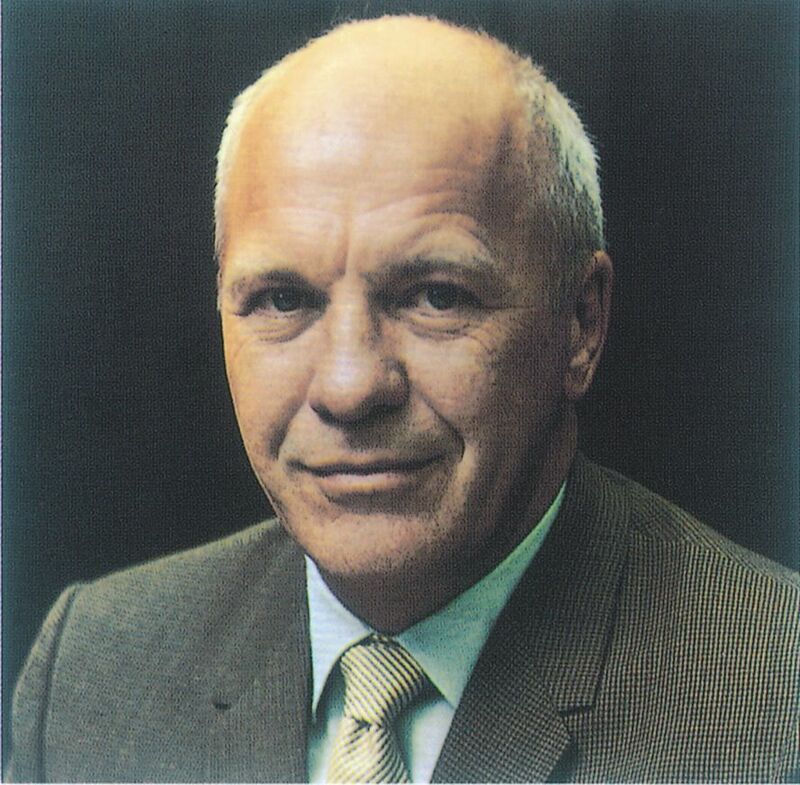 On Sept. 13-15, former Arctic Cat President Lowell Swenson will be postumously inducted into the International Snowmobile Hall of Fame in Eagle River, Wis.
Swenson was a key figure in Arctic Cat history, guiding the company through the tumultuous decade that began in 1966. Click to read his bio. Return of the Winnipeg I-500 Cross-Country? What do you think of a return of a point-to-point I-500? 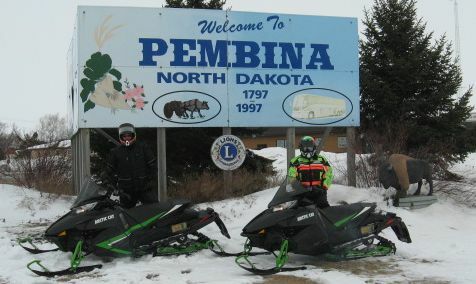 Brian Nelson, owner of USXC, thinks enough about it that he and Joey Hallstrom spent a day last spring doing reconnaissance of a route from Winnipeg to Thief River Falls. Nelson's goal is a return to the Winnipeg for 2015. 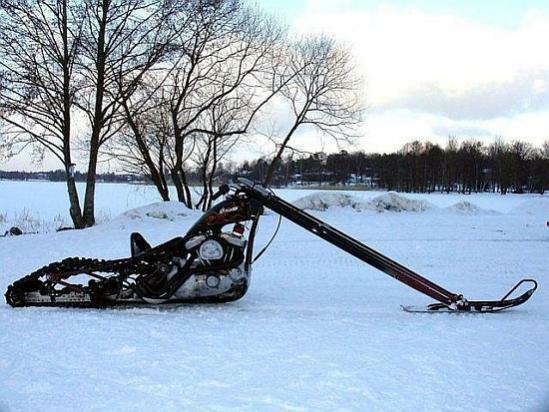 I'm thankful for snowmobiles and choppers. 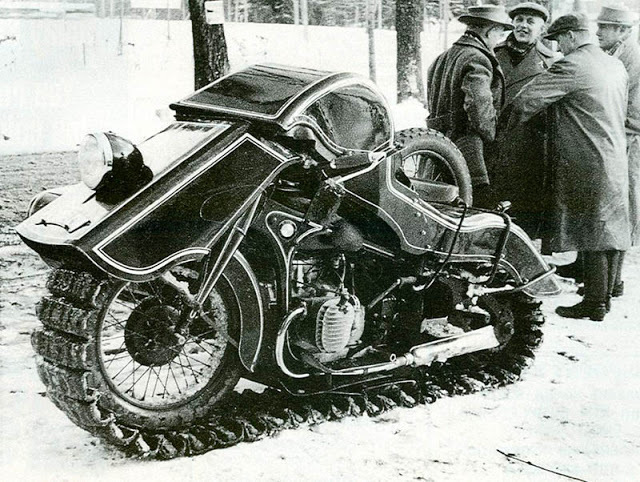 I'm thankful for the inventive spirit that pervades the world of snowmobiling. And I'm thankful it's Friday, Aug. 2, 2013. 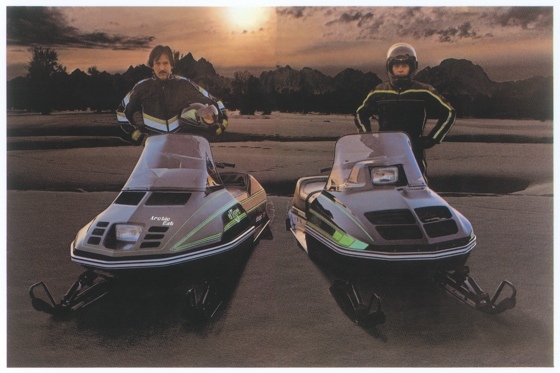 Click below for a 1-minute transport back in time to 1980 (when you might have been listening to the radio and heard this commercial for the Arctic Cat El Tigre and Jag). 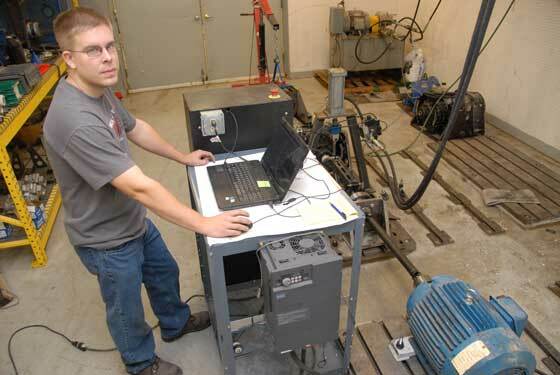 Adam Kuiken is an Arctic Cat Senior Test Engineer whose job is to develop and collect test data during product development. It's amazing (to me) the kind of data he's able to collect, and how that translates into the machines we buy. Click to read the interview with him. I'm thankful that the human spirit naturally compels us to compete, no matter what the vehicle or circumstance. I'm thankful that the dreaded "inside ski lift" is a rare occurance when these guys take to the race track. And I'm thankful it's Friday, July 26, 2013. I'm thankful it's Friday, July 19, 2013. 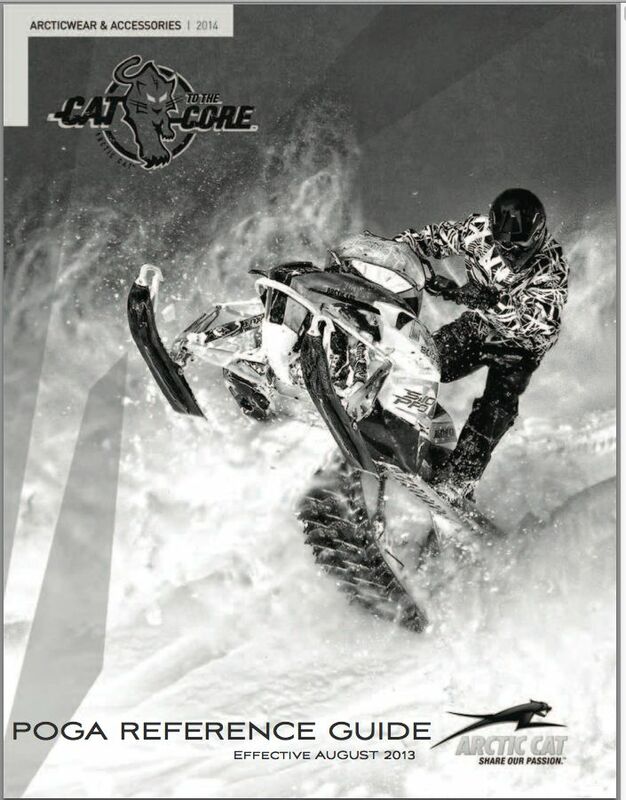 And I'm especially thankful that all kinds of people like Arctic Cat.